Sophia Tara launched the 1st ever public Death Cafe in New Zealand, in Wellington on 30 March 2014. Monthly gatherings to exchange conversations about life and death, to ponder and celebrate the Art of Living and Dying in compassionate community. Come share your stories, thoughts, anxieties, joys and fears. Together, we’ll take death gently out of the closet and make a friend of this inevitable companion to us all. Death Cafes allow people to talk about death, but also sparks those conversations about life. These conversations will be free from ideology and adhere to Death Cafe principles not to lead participants towards any conclusion about life, death, or life after death, apart from their own thoughts and heart-felt contributions. We provide a safe, agenda-free space to exchange mutual dialogue about life and death over tea and cake. Enjoy an afternoon sharing and mingling with like-spirited warm-hearted people. Our conversations will be respectful to all participants and support everyone in expressing themselves within a non-judgmental sacred space. We welcome everyone regardless of religion, faith, creed, ethnicity, gender, sexual orientation, disability or any other humanade condition. Facilitator, Sophia Tara, is an experienced Compassionate Communication trainer and founded the Compassionate Nonviolent Communication (NVC) and Death Cafe movements in the Wellington Region. She has facilitated public and private workshops over many years on Grief and Gratitude, Mourning and Celebration, Guilt, Shame, Anger and Depression to help mitigate the changing landscape of life’s trials, tribulations and unexpressed grief. Koha Entry to help with cost of venue and refreshments. Limited Space. Please RSVP to confirm attendance. Come to one or both. See Events Sidebar. In the bustle of daily living, have you paused to give thought or consideration in preparing for your sacred exit and Good Death – even if you are able bodied and in good health? Has the possibility of a sudden death by accident, misadventure or an unexpected diagnosis of terminal illness ever crossed your mind? Are you prepared to face your own inevitable mortality? The morbid fear of death has been the bane of human existence since time immemorial. Some cultures have celebrated it as part of the normal cycle of life, yet many Western cultures like ours, resist facing it and live in constant fear of death. Therefore we have no public education systems that teach us the true meaning of Life and Death and how to prepare ourselves and loved ones for its inevitability. Many churches and religious institutions offer no pragmatic or emotional support and comfort. We are left to educate and inform ourselves and one another. Exploring Life’s last sacred frontier of Death and Dying will be Self-Empowering and help to mitigate the fear of death. At the end of life, a Good Death is all we can hope for – to Plan and Prepare for it in advance will be a gift to ourselves and to our loved ones. (1) To Experience as little pain as possible. (2) To Recognize and resolve interpersonal conflicts. (3) To Satisfy any remaining wishes that are consistent with your present condition. (4) To Review your life to find meaning. (5) To Give control to a trusted person, committed to ensuring the kind of death you desire. (6) To Protect yourself from needless medical procedures that may dehumanize or demean you. (7) To Decide how social and how alert you want to be. What Will You Experience at this ‘Good Death’ Workshop? Sophia facilitated New Zealand’s first Public Death Cafes, about death, life, and the celebration of Living and Dying in compassionate community. She initiated and founded the Compassionate Nonviolent Communication (NVC) grassroots movement in the Wellington Region, and trained with the founder of NVC, the late Dr Marshall Rosenberg, Robert Gonzales of Living Compassion and many trainers from USA, UK and Australia. Sophia is an experienced Compassionate Communication and Empathy teacher for nearly 14 years. She has facilitated many workshops over the years on Grief and Mourning, Guilt and Shame, Anger and Depression, to help mitigate the changing landscape of life’s trials, tribulations and unexpressed grief. This personal and/or family loss may be due to the death of a beloved family member or friend, a cherished pet, separation, divorce, children leaving home, bullying, loss or change of residence, redundancy, business liquidation or bankruptcy. Sophia has facilitated workshops on Self-Compassion, Empathy and Compassion for others within the larger framework of ‘Transforming Planetary Despair’ exploring and “Feeling the pain of the world” repressed fear, isolation and despair for our global future. She has also facilitated a wide range of workshops for community activists, spiritual and social change makers, including the Waldorf-Steiner community, Intentional Living groups, Buddhist and Spiritual centres, Peace Movement Aotearoa, Occupy NZ, Inter/national Peace and Disarmament groups, alternative Adult Education, teachers and parents in school communities, and the general public. She deeply resonates with the Spirituality of NVC and an abiding empathy for First Nations. $20 towards venue costs, refreshments and resources. You can also bring your cash with you on the day. 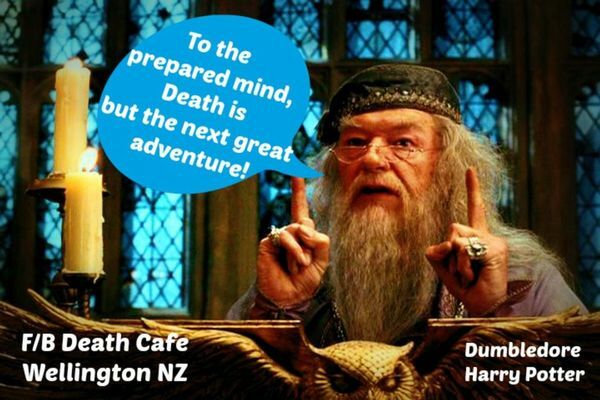 We launched the 1st ever Death Cafe in Wellington on 30 March 2014 and the 1st ever Public Death Cafe held in Aotearoa-New Zealand. We meet at the Trinity Union Church, 11 Hall Avenue (off Hall Street), Newtown, Wellington to exchange conversations about Life & Death, to ponder, wonder and celebrate the Art of Living and Dying in compassionate community. Come on down and share your thoughts, anxieties, fears, stories, and enjoy an afternoon conversing and mingling with like-spirited warm-hearted people. Let’s take death gently out of the closet and make a friend, not a foe, of this inevitable companion to us all! Death Cafe allows people to talk about death and grief, but also sparks those conversations about life. These conversations will be free from ideology. A Death Cafe principle is not to lead participants towards any conclusion about life, death or life after death, apart from their own thoughts. Our conversations will be respectful to all. These conversations will be compassionate and empathic in supporting everyone to express themselves in a non-judgemental safe environment and sacred space. Death Cafe is an open forum for the public to discuss any issues surrounding life and death. The goal is to encourage people to feel comfortable with the topic of death and dying. From the day we are born, we know not when this hour may be our last. 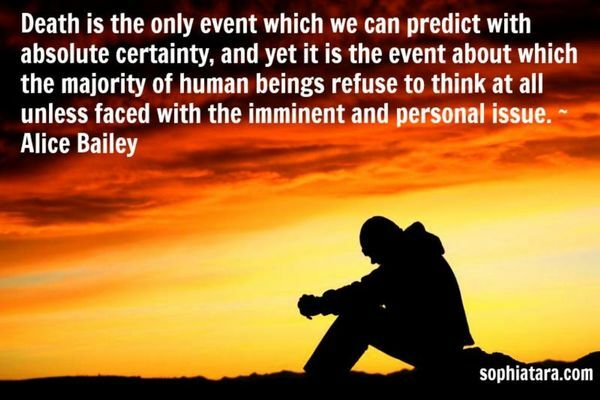 We never know when death will come to any of us, so taking time to ponder and to be heard, to be prepared and have knowledge to make individual unique choices of our desired exit, is a blessed gift to ourselves and loved ones. Calling all Explorers of Life & Death Who wants to think about death? Not many people, but we do. It’s part of the cycle of life. Society doesn’t make it easy to talk about death. The key is getting over our death anxieties and to enrich the quality of our lives. What do we want to do with our lives? What do we want to accomplish most? How do we want to be remembered? Such questions encourage us to face our own mortality and to live each day more fully. We welcome everyone regardless of gender, ethnicity, religion, faith, creed, sexual orientation, disability, socio-economic class, or any other humanade condition. We are creating a sacred space where people can come to experience connection to one another in sharing their fears about death, and their stories about life. It is a celebration to living and dying as a natural cycle of existence. Tea and Cake are served to sweeten the shared conversations. Come join us. Sophia is an experienced Compassionate Nonviolent Communication (NVC) trainer and Compassion & Empathy teacher for nearly 14 years. She has facilitated Death Cafes and workshops over the years on Grief and Mourning, Guilt and Shame, Anger and Depression, to help mitigate the changing landscape of life’s trials, tribulations and unexpressed grief. This personal and/or family loss may be due to the death of a beloved family member, friend or colleague, or a cherished pet. Suggested Donation: $10 towards venue costs, refreshments, resources.